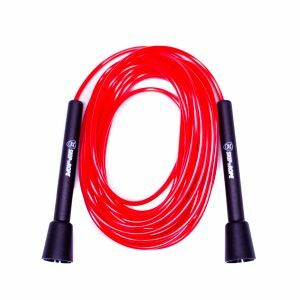 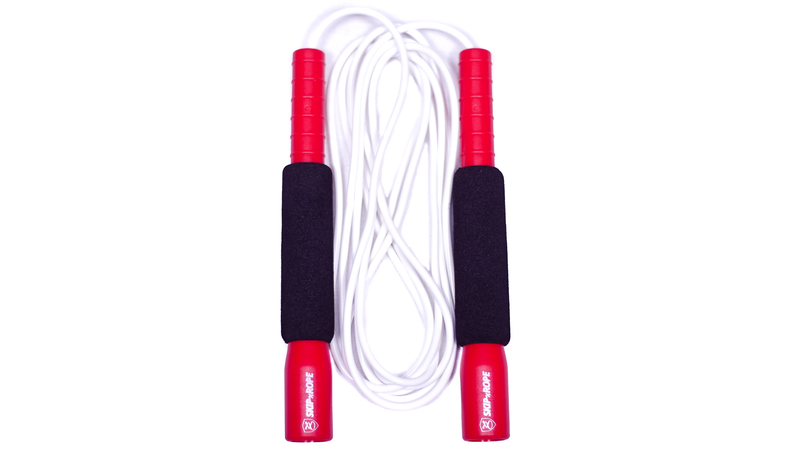 The SKIPnROPE long handle freestyle rope. Suitable for adults, recommended for more advanced freestyle tricks. 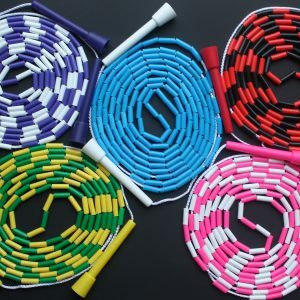 The rope is adjustable to different lengths for children/teenagers/shorter adults. The rope is fitted with a plastic adjustable snap lock system. 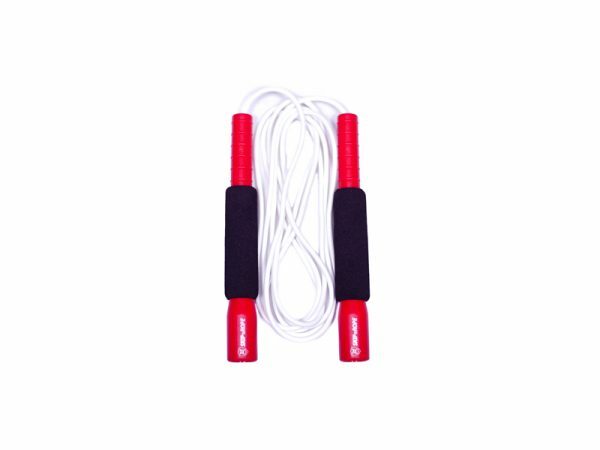 The long handle freestyle rope handle gives the skipper more room to complete crossovers both in front and behind the body. 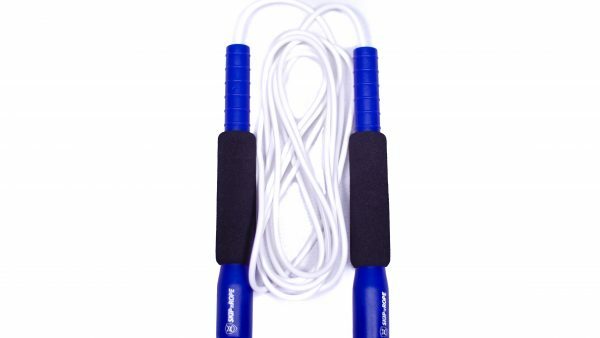 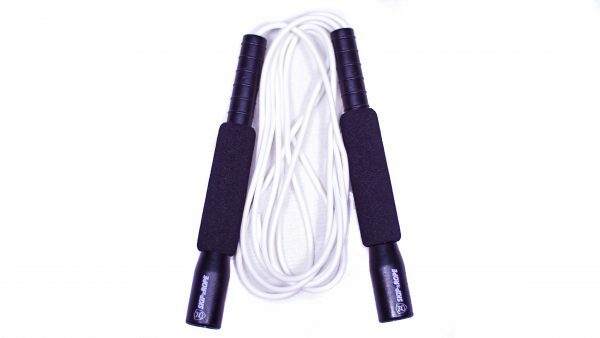 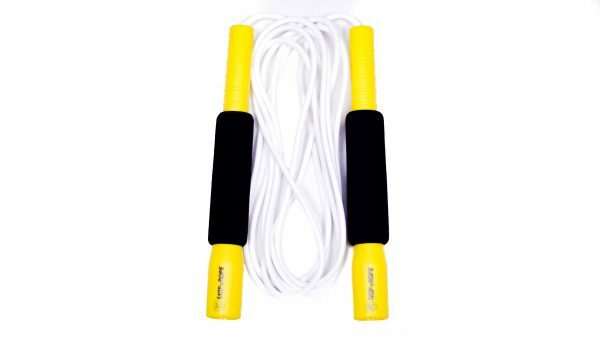 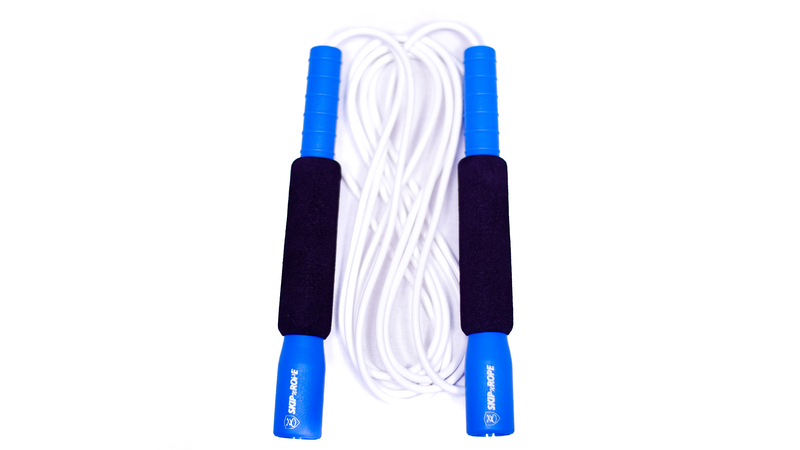 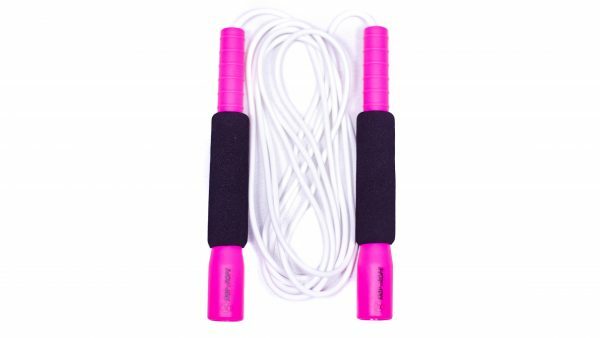 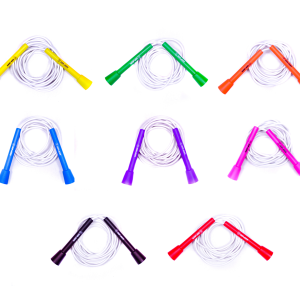 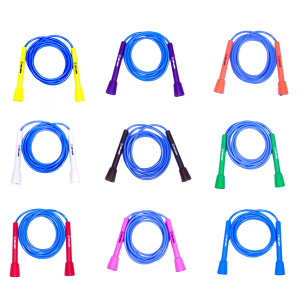 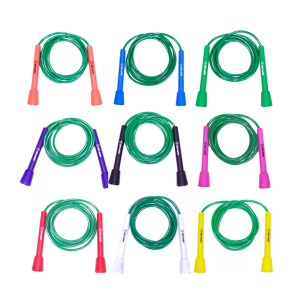 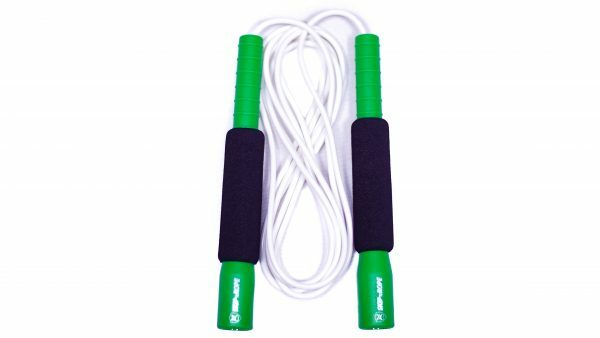 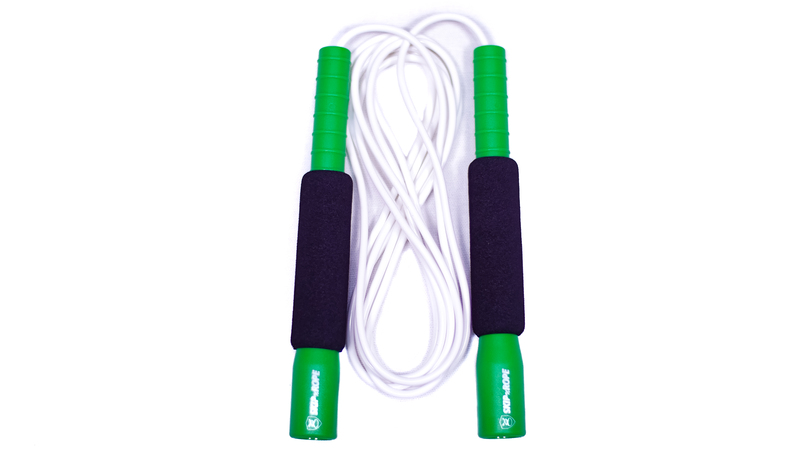 The PVC plastic handles have foam grips for increased comfort and grip when performing with the rope. 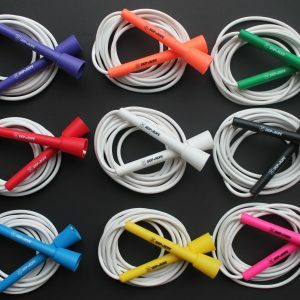 The Freestyle Rope has a 4mm thick vinyl cord, is tangle free and durable in all conditions. The long handle freestyle rope comes in a white 10ft cord.